Chicken and elephant bird eggs. Museum display of eggs from the domesticated chicken (Gallus domesticus, top) and the extinct elephant bird (Aepyornis maximus, bottom). The latter was at one time the largest bird in the world. Native to Madagascar, it became extinct about 1000 years ago. The bird itself reached 3 metres in height, with the egg over 30 centimetres in length. 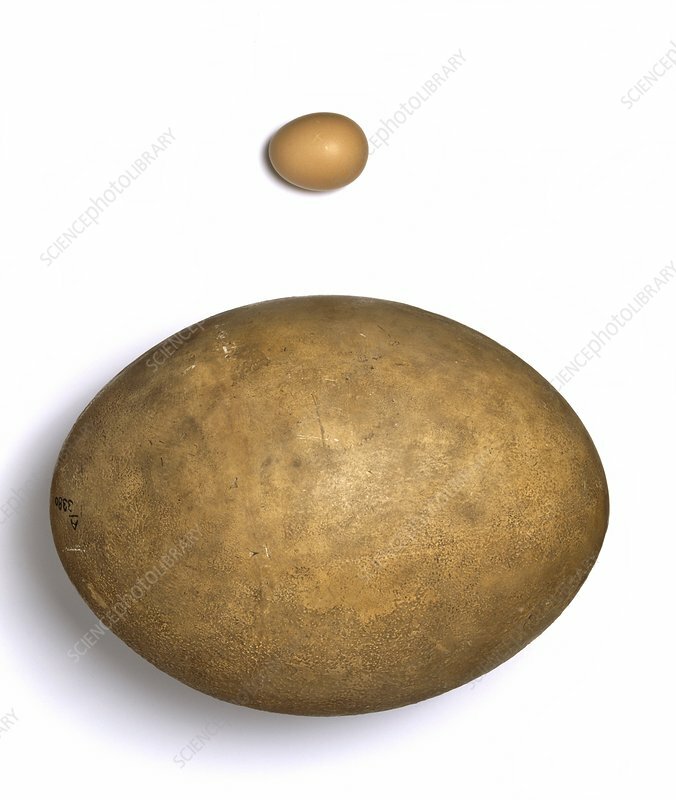 The elephant bird's egg is around 160 times the volume of a chicken's egg.